Purple is such a significant colour. It reflects power, ambition, creativity, dignity, devotion, independence--qualities that exemplify the women of today. At this day and age, women are getting more ambitious, are getting equal respect and recognition, and are living their lives to the fullest. However, there are still other parts of the world that do not experience this equality. That's why this month of March is for women to celebrate International Women's Day! Let us all join the movement to celebrate the achievements of women around the world and call for greater equality by wearing purple. 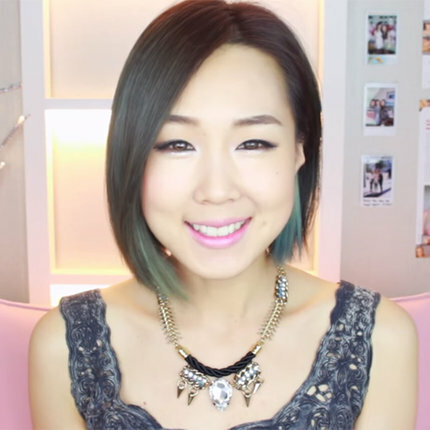 Here are 5 simple ways you can include purple in your daily look! If you haven't noticed yet, Purple is a great colour on any skin tone---and not all colours can do that. 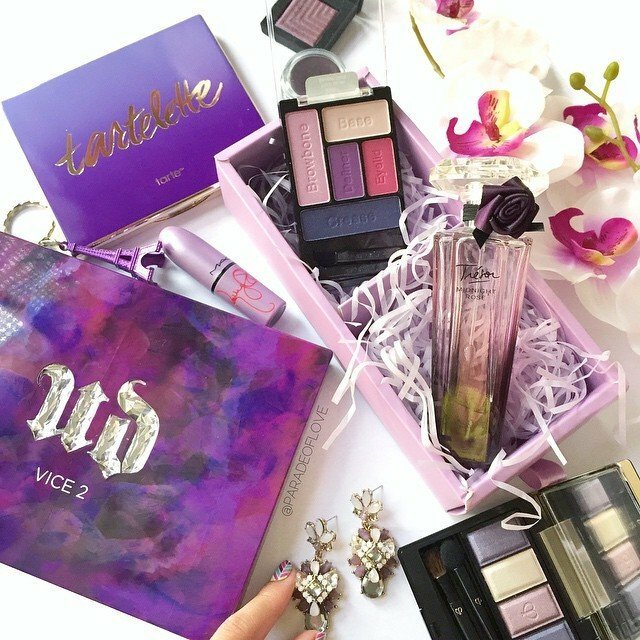 Purple is a bold and bright colour that looks good on your eyes and lips. You can even experiment with a purple-based blush or dye your hair with streaks of purple. Nonetheless, it's an eye-catching colour that is easy to add to any makeup look. Purple is without a doubt a scene-stealing colour on clothing items. 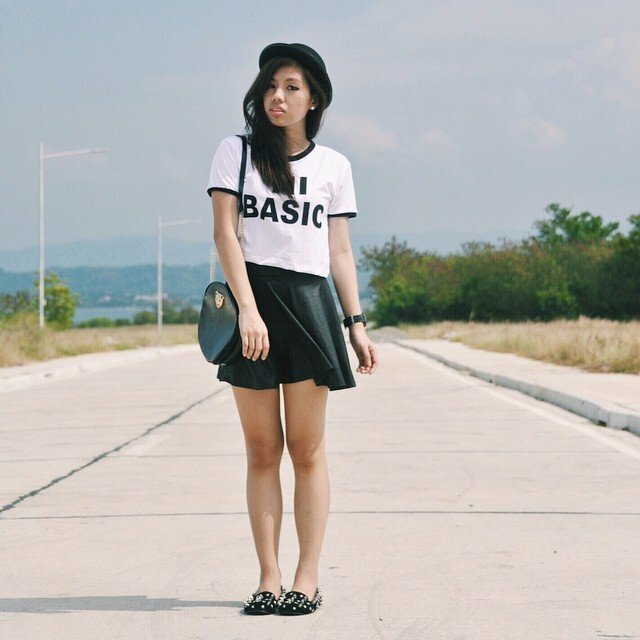 It's not "basic" but it's also not an eyesore. After all, it it's a classy, bright hue that makes any woman look good. You can wear a purple midi skirt, a dress, or a top to make sure your statement for International Women's Day is reflected in your OOTD. Get things done with purple-painted nails! Purple has a diverse range of shades to choose from. 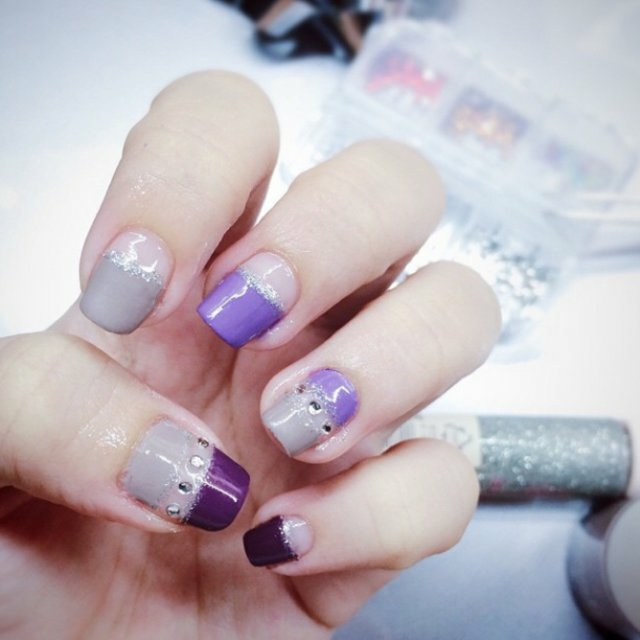 You can opt for one shade or play with a variety of shades for a fabulous nail art. If you don't feel like wearing purple then just accessorize with it! 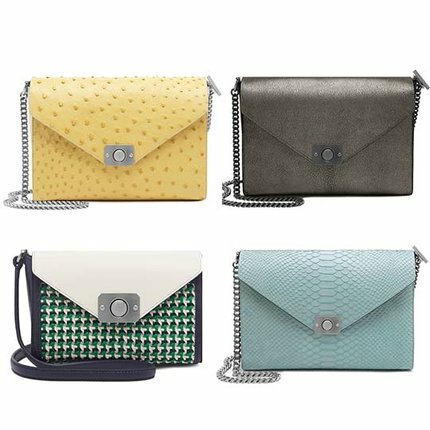 A bag, a pair of earrings, or a necklace are good accessories to start with, and they're definitely statement-worthy in your overall look. Instead of sticking to one shade of purple, get creative with several ones! The basic rule of light and pastel shades paired with darker and bolder shades apply here. You can also experiment with textures and prints like wearing a purple suede hat with a sheer Lavender top. The possibilities are endless! How will you be wearing Purple this month? Let us know in the comments below! Click here for more purple inspiration. Canadian brand Native gives hypebeasts, stylephiles, and sneakerheads a reason to rejoice with its new shoes--the Apollo. Their latest innovation to the market banks on the concept of a moccasin, the most classic footwear silhouette known to mankind, and constructed it to another future classic. With simplicity and “keep it lite” as guiding principles, Mark Gainor, Native’s Creative Director, ensured that the focus will only be on the essentials. 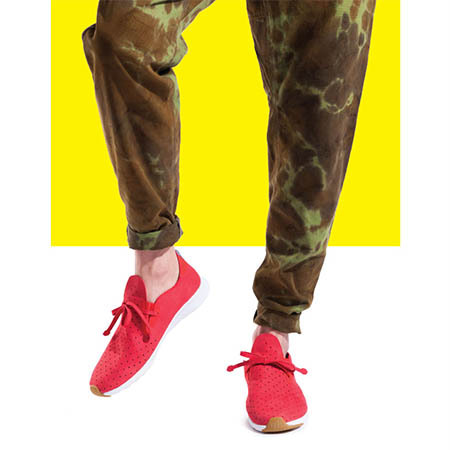 The result is a totally familiar footwear made fresh and new by injecting Native’s quintessential futuristic touch. Native has indeed modernized the classic moccasin and desert boot with the introduction of the Apollo Moc and Apollo Chukka. Each Apollo shoe also boasts of the Anti-Gravity feature where grounding rubber are inserted, giving traction where it is needed most. The Apollo is absolutely shock absorbent to put a little spring onto one’s step. 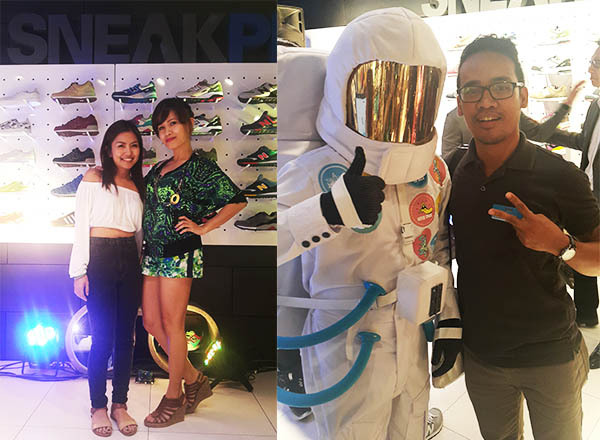 Clozette recently got a sneak peek of the Apollo shoe and even got to see an astronaut happily lounging around the venue. 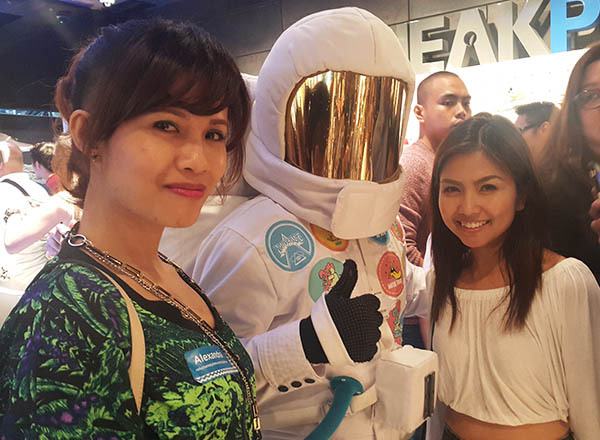 Here is a shot of GlamAsia's Features Editor, Alexandra Lapa and Female Network's Ira Nopuente, with the astronaut during the launch party. 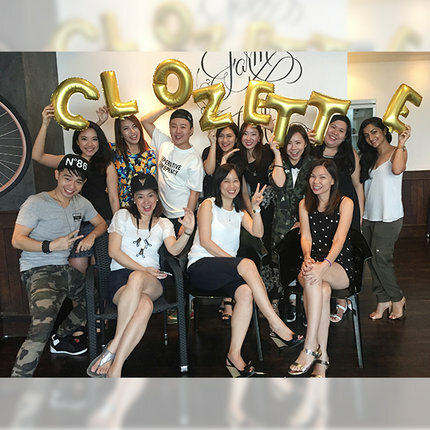 Clozette also got to view other rubber shoes from Sneek Peek, a store based in Manila for sneakerheads and stylephiles alike. And oh, here's another photo of Clozette's Country Sales Director (Philippines), Jay Ramirez, with Apollo's resident astronaut. It was one great night! Step into the future and out into the cool space with Native's newest design – the Apollo! 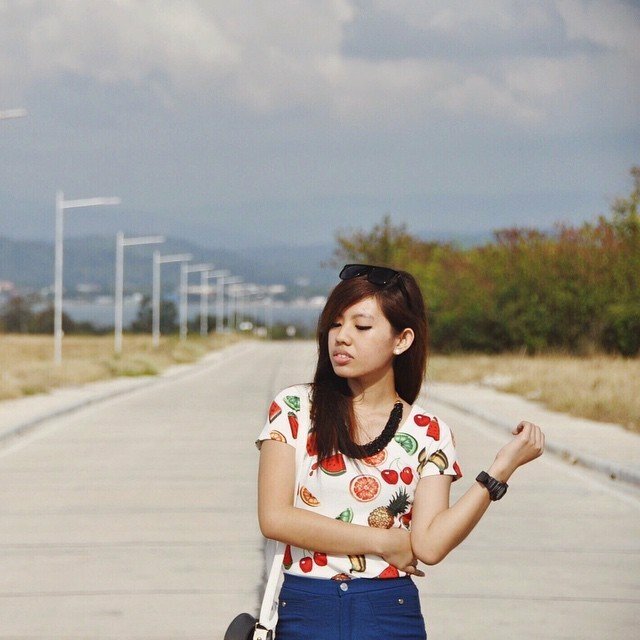 Our Featured Fashionista For March! March is the start of the Spring season, also known as the pre-summer time where bold colours and prints are everywhere. But there are fashionistas that go against the crowd and stay true to their personal style. 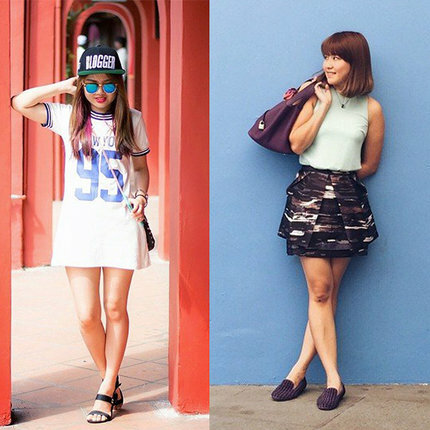 Such is our Featured Fashionista for this month, Roxy Sibayan! 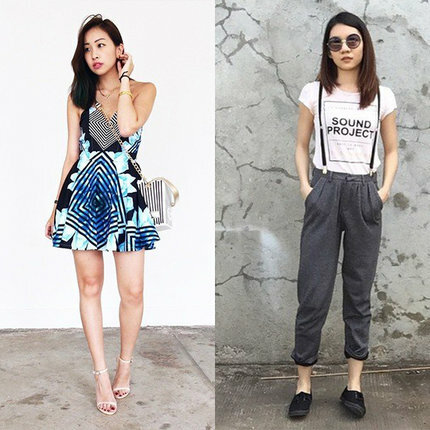 Known as itsjustroxy here on Clozette, she posts edgy looks with a pop of print and colour. Whatever she wears is a fun interpretation of where she came from---Manila. 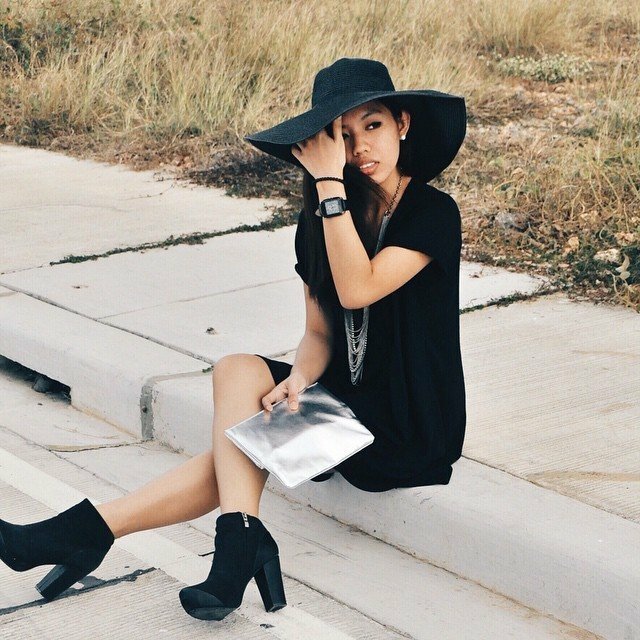 Let's get to know this Pinay fashionista even more through her journey in fashion, blogging, and her favourite Spring looks! When I was a kid I loved dressing up my barbie dolls. I even remember shopping clothes for them. Then when I grew up, I ditched my dolls and started dressing up for myself. Lookbook.nu also made a huge impact in my fashion style. It was then that I confirmed that fashion is also my passion. I found friends around the site and they helped me out to put up a blog to share my outfit ideas. My fashion style depends on my mood but I also like to mix and match. I don't stick to one thing because it makes me feel like I'm a boring person, well except for pineapple-print clothes! 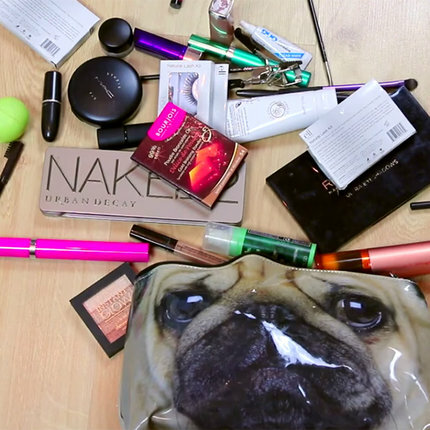 Which Spring/Summer fashion and beauty trend are you excited to try? I never thought that eye liners are so in this season. I've been wearing those since---I don't know when. I can't go out without eyeliner on! But I am deeply excited to try wearing lipsticks because I rarely wear one. So I guess it's about time to try something new, especially something near the Marsala shade because it's the colour of the year right? I also can't wait to try out gingham printed clothes and military green shades for this season---though it's not that new. But who can forget the clothes of Cher on Clueless? I definitely can't. Spring is such a fun-filled season, how do you make your outfits look fun? Colour Matching, using accessories, and fearlessly layering prints! It'll definitely make your outfit stand out. And don't pressure yourself too much, wear whatever you feel comfortable in. Oh summer and spring are my favourite seasons! Though we don't have spring here in the Philippines, we still tend to adapt the fashion trends. I personally love wearing shorts and skirts! I pair it with anything! High-waist shorts plus cami and kimono, some boots and a fringe bag, then you're ready to go! Maxi skirts are also the best when you're at the beach, Pair it up with a cute bikini top and viola! What is your favourite makeup look for Spring/Summer? A Light makeup look for me. MAC Studio fix foundation for the face, in2it liquid eyeliner for my cat eyes, a little bit of a bronzer, and just an EOS lipbalm for my lips. But I'm definitely going try something new for my lips this season. Which looks are you looking forward to this Spring?